Researchers created the incredible detailed model of the human brain – considered to be the most complex structure in the universe, containing 86 billion neurons – using the preserved brain of a 65-year-old woman. The brain was sliced into 7,404 sections, each one no more than 20 micrometres thick, which were stained and then digitised as part of a project called BigBrain. The result is the highest resolution model ever made of a human brain, and will be made publicly available to researchers worldwide. The ‘brain atlas’ has 50 times the level of detail of existing models of the brain and took around 1,000 hours to collect all the data. The research was carried out at the Montreal Neurological Institute and Hospital in Canada with researchers at Forschungszentrum Jülich in Germany and is published in the 20 June issue of Science magazine. Researchers said the model will help to study normal development of brains and degeneration caused by disease. “[It] offers nearly cellular resolution, that is detail close to the level of the cell, a capability that has not been previously available in 3D for the human brain,” said Dr Alan Evens, one of the co-creators of the model. Email “Scientists create most detailed map ever of human brain”. 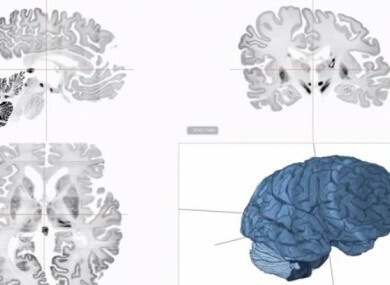 Feedback on “Scientists create most detailed map ever of human brain”.